1. 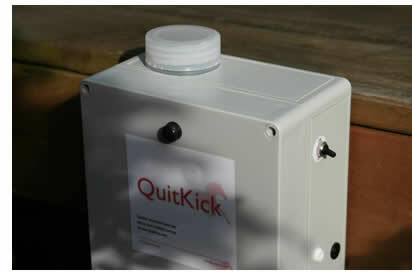 The Quit-Kick device is re-chargeable and will last up to 10 days on a full charge. 2. Internal water filter to avoid blockages. 4. Quickly fitted to the back plate.